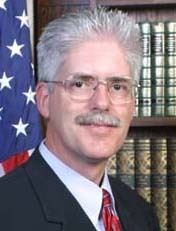 Judge Manley was appointed as Otero County Judge in the Sixteenth Judicial District on July 2, 2004. He is classified as an 80% judge and continues to maintain a limited private practice. Judge Manley received his legal education at the University of Colorado. He was employed by the District Attorney's Office in the Sixteenth Judicial District from 1978 - 1982. Afterwards, he had a private practice in La Junta and has been part-time municipal judge in several communities. Among his community and professional activities, Judge Manley is a member of the Colorado and 16th Judicial District Bar Associations, the American Judge’s Association, the Colorado County Judge’s and Colorado Municipal Judge's Associations, and the medical center ethics committee.